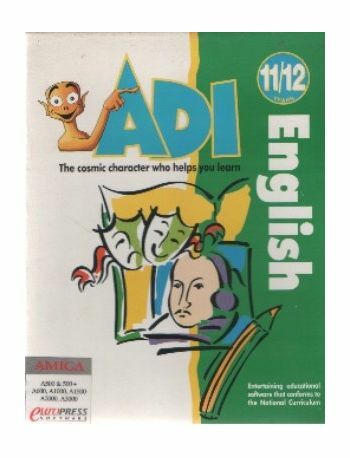 ADI is a lovable extraterrestrial who will ensure that learning English will never be the same again!He'll act as your alien tutor as well as your computer based friend. He'll entertain you with his funny remarks, whistly voice and constantly changing facial expressions. He'll congratulate you when you do well, and cajole you when you make mistakes. He will always be on hand to help you with your problems, give you advice and reward you with games. Manual included. 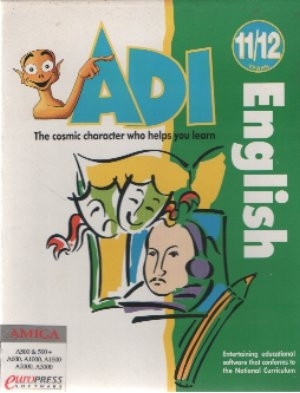 OPERATES ON AMIGA 500/500+/600/1000/1500/2000/3000.